Speculative Faith | Disability, Superpower, or Just Life? Novelist Bridgett Powers: Fantastical stories featuring realistic heroes with disabilities can empower us to conquer our own limitations. What makes a science fiction character stand out among the other aliens, starship captains, or brash pilots cluttering the universe? Which quality in a fantasy hero moves you to thrust a fist into the air and yell, “Yeah!” at her smallest victory? The most memorable characters in books and movies are often those who are quirky, funny, or battling the same issues we face. To grab our interest at all, a character must be flawed. 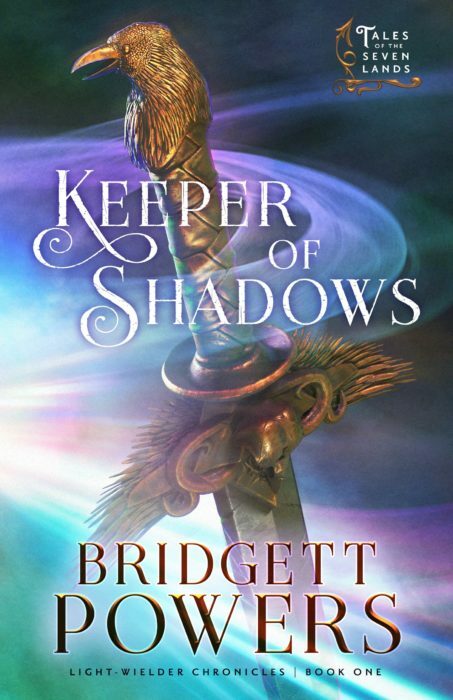 This week we feature Bridgett Powers and her novel Keeper of Shadows. Stop by the flagship book club on Facebook to learn more about this story. Subscribe to Lorehaven Magazine for free! You can read the fall 2018 issue online, or download the free PDF copy. Our winter 2018 issue arrives next month! Light shines brightest through cracked lanterns. While this statement applies to many areas of human brokenness, physical disability and society’s perceptions about it are subjects close to my heart. I’m overjoyed when books and movies in my favorite genres address these topics, especially if they do so in an authentic way. How are characters with disabilities portrayed in speculative fiction? What can their stories teach us about overcoming our own limitations? Explore Keeper of Shadows in the Lorehaven library. Disability can be a symptom of societal perception, rather than an actual impairment. A character might be considered disabled if he lacks a talent, gift, power, or interest that all others in his world possess. We find this in stories of fairies or angels who can’t fly. It is also portrayed in the animated film Cloudy with a Chance of Meatballs, whose main character Flint Lockwood, whose intelligence, odd inventions, and complete lack of interest in the sardine canning business make him seem useless in the eyes of his father and community. Finally, this is a central theme of a novel I’m co-authoring, in which one of the main characters grows up on a planet where everyone has psionic powers—telepathy, telekinesis, etc.—while she has none. For many of the characters I’ve researched, disability is portrayed as either the source of a superpower/heroic gift or the motivation for developing that power. We need to see people as more than their issues […] Fiction can foster empathy, and empathy can change the world. 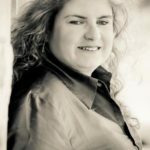 —Ardi Alspach: 2017 blog interview with Borderline author Mishell Baker. This is just a taste of what’s available. Please note: I haven’t read/watched them all. Merlin (portrayed as blind in some versions of Arthurian legends, including Robert Treskillard’s Merlin Spiral series). MadEye Moody from the Harry Potter series by J.K. Rowling (only has one eye). The problem is, of the few fantastical stories that contain—and even fewer that center around—characters with disabilities, many dilute their potential impact by using magic, technology, or superpowers to negate the difficult effects of the disability. To the other extreme, some make the disability the character’s main or sole trait. Still more fail to show the character realistically dealing with a disability’s effects on daily activities. These discrepancies were part of the inspiration for the title character in my Light-Wielder Chronicles fantasy series. Like me, Lyssanne was born with limited vision. In creating her, I sought to dispel several tropes that not only create unrealistic perceptions, but also sabotage the impact heroic characters with disabilities could have on readers. Characters with limited vision are usually portrayed as totally blind—which is not, in fact, the most common degree of visual impairment. The majority of us have at least some usable vision. Blindness creates superhuman enhancement of the nonvisual senses. I wish! Other senses are heightened through consistent use of and reliance on them. A spinoff of this is the “blind seer” character, who can predict the future, perceive present events taking place elsewhere, or use other forms of perception beyond normal sight. By the end of the book or series, the character’s sight is restored. Heroic impact negated. Disability is merely one aspect of a person’s life—not a superpower, an insurmountable barrier to her call, nor a problem that must be fixed if she is to achieve her happy ending. Stories that show characters coping with disability in a realistic way can empower us to do the same. Like the heroes of page and screen, we—their fans—have a choice: To accept a physical or perceived limitation as a disabling factor in our lives, or to use it as the catalyst for developing our own superpowers. The secret ingredient for transforming disability into power is not green goo from outer space, radioactive particles, or a pile of inherited wealth that pays for a crack R&D team. It’s found in Philippians 4:13 & Romans 8:28. With Jesus, we can become the heroes of our own stories. While authors and movie creators have a phenomenal opportunity to influence society’s perception of people with disabilities, it is the fans who make real change happen. How? We can support books and movies that portray such characters in a positive but realistic light, share our favorites with friends, and start meaningful conversations (on- and offline) about these stories. When we do so, we help the characters we love, the very real people who inspire them, and ourselves shine a bit brighter—despite our cracks. Read Lorehaven Magazine’s complete review online (with free subscription). Read the complete fall 2018 issue of Lorehaven Magazine online, or download the free PDF. Kind of reminds me of one of my chars. He gets an injury that leaves him with very limited use of his hands and forearms and has to adjust his life accordingly. No superpowers come with it, and his hands never fully heal. But it impacts his daily life and he has to learn to adapt. Your character sounds intriguing, Autumn! I’d love to hear more about your book. Thanks for responding. Good perspective. I just read a middle-school book with a totally blind character. His biggest issue was not the lack of vision, but the lack of a family. In day-to-day life, he got around school (differently but fine) and had a snarky sense of humor. He was a likable character, and this article actually explains why. Thanks, Sharon! That sounds like a book I’d want to read. What’s the title? One of the things I love most about your own books is the focus on character diversity. The way you incorporate cultural (and other) differences into the characters’ daily lives and show their similarities to each other at the same time—brilliant! You effectively show how our differences make up only part of who we are. I was so disappointed that she got all her bending back at the end of that season. I would have loved to see how an avatar would handle only having one element. I’m waiting for the fandom remake, even if only in manga form. Korra the show does have a lot of good bits, but there were too many bad choices made for me to like the whole. Great example, Notleia! I’m only a little familiar with the original Last Airbender series, since I watched a few episodes of Season 1 with my niece. It is frustrating when studios (or authors) fail to realize the full potential of a character or story thread. As a fan, I find myself preparing for a truly moving or empowering story, only to have it fall flat. I’m thankful for the other stories out there that do inspire us. Excellent article! The subject of fictional characters with disabilities is very close to my heart and I’ve written about numerous such characters as well. I’ve been heartened to see more recent examples of characters living with a variety of disabilities who are not magically cured at the end and whose disability is not the focus of the story — such as Kamet in Megan Whalen Turner’s THICK AS THIEVES, who also has limited vision. Thanks, R. J.! I will definitely check out your books (and Megan’s). I appreciated the recommendations and love connecting with fellow authors and readers who share my passion for this subject. What an insightful writing!! I believe the characters and their stories be realistic as far as abilities go. Especially to make the story more realistic, more believable as it beats at the heart of the fantasy, weaving it all together showing God’s love and power as the center of all things!